Zeshan Qureshi is an academic and clinical paediatrician, with a special interest in global health and medical education. He works at King’s College Hospital, London, and his academic work is linked to the Institute of Global Health, University College London. The Unofficial Guide to Medicine textbook series has now become his biggest educational pursuit. It started off as just a group of friends sharing their revision notes, but now they sell books all over the world, and have over 500 people involved in the project. They are very different to mainstream publishing companies in several key areas. They use doctors and medical students to manage every stage of production. This means that the layout of the pages, the paper choice, the contents are all determined by those currently studying, or by those that have recently gone through the exam process. They democratise the process of book writing as much as possible. They have a Facebook page of over 27,000 people, and through this put forward new title suggestions, contents of new books and invite feedback. For their radiology book; posting the contents page led to suggestions for an additional 5 chapters, and 25 odd new X-rays: they made the changes, and it’s no surprise the book did so well, because they only published it when the medical community were happy with it. Last year, they won multiple awards for The Unofficial Guide to Radiology and The Unofficial Guide to Medical Research, Audit and Teaching at the BMA medical book awards. 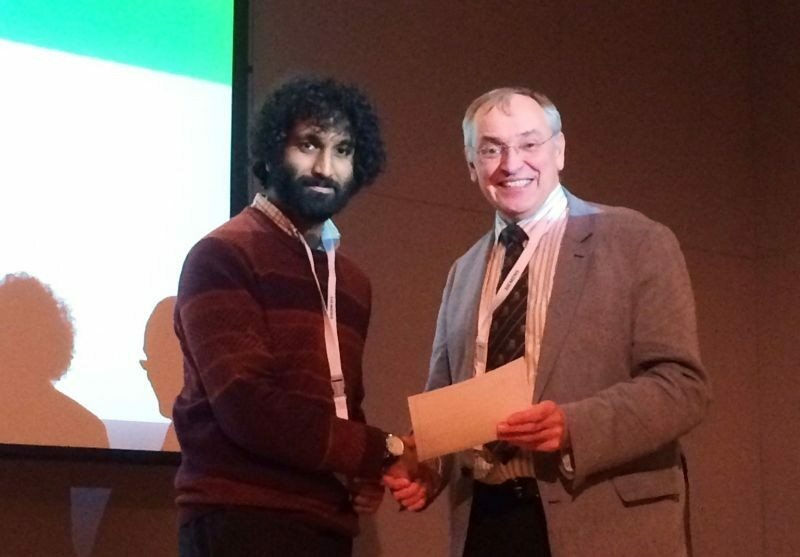 Zeshan also picked up the “New Leader “Award” from the Association for the Study of Medical Education. BIR Award presented by President of British Institute of Radiology, David Wilson. SO ZESHAN, WHAT DO JUNIOR DOCTORS/STUDENTS GAIN FROM PARTICIPATING IN THE UNOFFICIAL GUIDE TO MEDICINE? Students and junior doctors gain the opportunity to have their work published. In an increasingly competitive job market, having publications is of growing importance. There is evidence that medical students and junior doctors can learn a great deal from teaching their peers or near-peers. It gives them the opportunity to expand and consolidate existing knowledge. The writing process encourages juniors to develop editing, reviewing, and research skills that they may not have otherwise developed. Effective writing requires the ability to communicate thoughts in a clear and precise manner. It also requires good time management, prioritisation, and commitment. Myself and the rest of the unofficial guide team, take pride in helping new writers to develop their skills. The time and the enthusiasm of junior doctors and students is an untapped resource for developing and diversifying the medical textbook library. 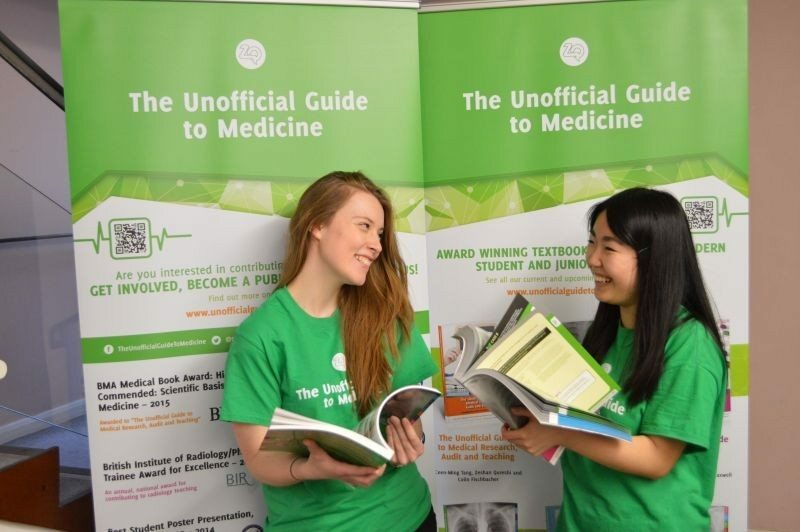 The Unofficial Guide to Medicine project aims to create an organisation through which junior-led publishing can thrive, while ensuring accuracy is maintained with expert review. It has the capacity to expand, and we welcome everyone to approach us so that they can be part of the team. WHAT MOTIVATED YOU TO START WORKING ON THE UNOFFICIAL GUIDE TO MEDICINE? When I was working as a Doctor in Edinburgh, I set up a teaching programme called Bedside Teachers, which put junior doctors who wanted to teach in touch with students who wanted to learn via an online learning portal. In 2010-11, through this set-up, 108 tutors delivered 324 tutorials to a cumulative total of 1,923 students across south east Scotland. Textbooks seemed to be the natural next step. It takes a lot of time to put a textbook together, but once it’s published, anyone across the world can pick one up from a bookshop, or order it with one click online. The reach is phenomenal, and we have now not only sold books all across the world, but also get authors from all across the world as well. Most textbooks use contributions from professors and consultants. The ‘Unofficial Guide to Medicine’ series is almost entirely written by students and junior doctors. A large part of what motivates me is that I really enjoy helping individuals who wouldn’t normally get the opportunity to publish their work and excel. TELL ME HOW HAS IT GONE SO FAR? The process of writing, publishing, designing, and marketing the books has been challenging and rewarding. I decided to work part time so that I could fully focus on the ‘Unofficial Guide to Medicine’ series. At first, I was selling books face-to-face across common rooms, and in lectures. No bookshop would take our titles, because they hadn’t heard of us, and we weren’t an established brand. Now, we’ve sold 30,000 books all across the world, and have a sustainable infrastructure to keep producing and selling more. There are occasional difficulties: I got a message from an Iranian medical student, who desperately wanted one of our books, but informed me that no online retailers like Amazon were allowed to ship there. In the end, I just sent her some free books! WHAT CHARITABLE PURSUITS HAS THE ENTERPRISE BEEN INVOLVED WITH? One of the core aims of the textbook series is to raise money for medical education projects, student-led initatives, and charities which myself and the other authors are close to. The first charity we donated money to was Heart Research UK. This is because when I was an undergraduate they gave me a £7000 grant which covered the cost of my BSc. 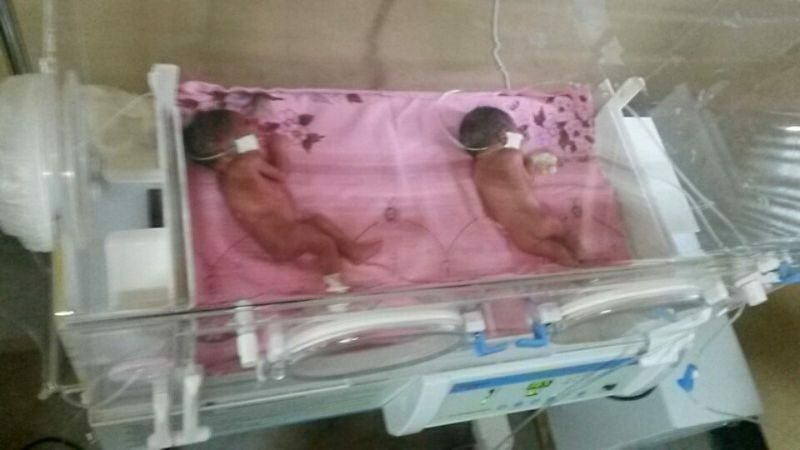 Most recently we gave £1500 to Kagando Hospital in Uganda, which they used to buy an incubator that has since been in constant use. One of our authors helps run the charity, and when I heard about their good work, and knowing it could be supported, I happily got involved. WHAT ADVICE WOULD YOU GIVE DOCTORS WANTING TO WRITE? I suppose I should start by saying that they should get in touch! I’m always on the lookout for new writers. If you want to write, you should give it a go. Doctors, are incredibly talented and able. The process of writing is rewarding, and there are plenty of people who are willing to help mentor you. Don’t ever forget to look after yourself. Even if we imagined a perfect NHS, it will always be emotionally gruelling. Every time you go through a difficult experience: a traumatic resuscitation, a patient death, a medical error, be honest with yourself about your emotions, and speak to your friends and family to help you process them. There is no shame in admitting that you may have emotions that are difficult to process, and the earlier you start being open about it, the better you’ll feel.